The versatile and modern Sqaureline Plus 42L Utility Sink makes for the perfect addition to your kitchen. This utility sink features a fresh, contemporary design which can be installed as either an undermounted or a top-mounted sink. 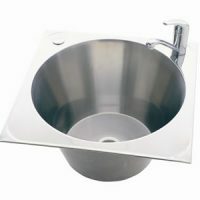 The Squareline Plus 42L Utility Sink measures 580x445x240mm in dimensions. 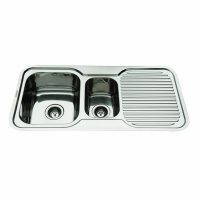 This utility sink is handmade out of high-grade stainless steel of 1mm thickness and sports a brushed finish. It includes an integrated overflow kit and comes equipped with 90mm wastebaskets. It is pre-equipped with bench fixing clips, and a foam seal for top mounted application to make installation a breeze. The Squareline Plus 42L Utility Sink lets you experience the best in practicality thanks to its amazing design. It features curved internal corners with a radius of 10mm, which allows easy access into the sink, and also makes it incredibly easy to clean. As with all Squareline products, the Squareline Plus 42L Utility Sink also boasts superior quality in its materials and manufacturing. It is durable and is built for longevity. As such, it is backed by several warranties including a 25-year warranty on the stainless-steel sink and a 1-year warranty on the plug, wastes and other accessories. For modern-looking and versatile utility sinks in Perth, choose the Squareline Plus 42L Utility Sink at Ross’s Discount Home Centre. 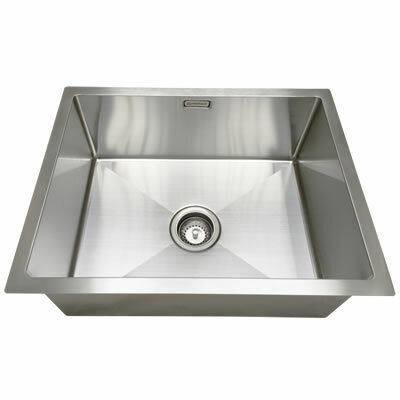 Shop from our online store today to buy this utility sink at the lowers price in the market!